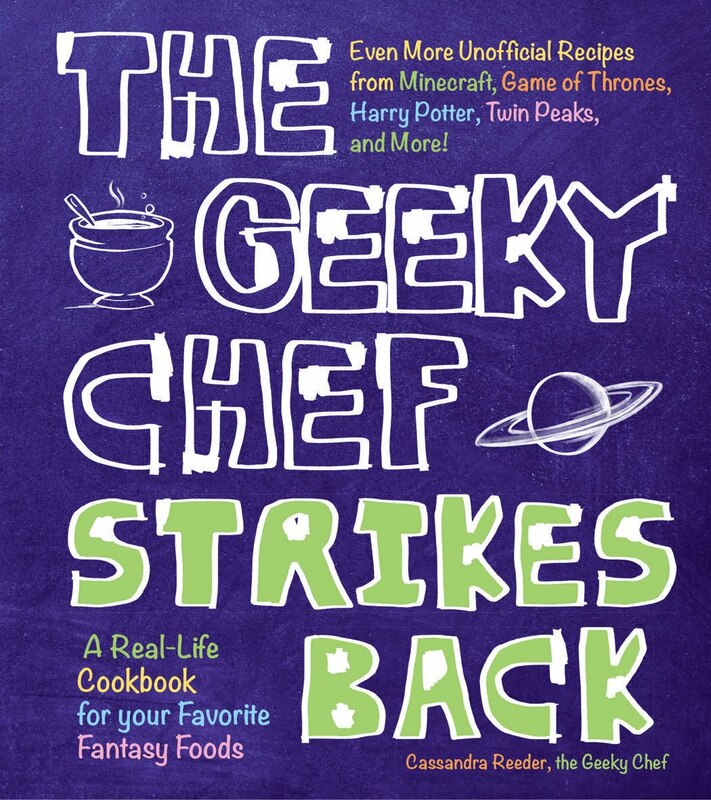 Both volumes feature over 50 recipes from books, movies, television and video games! From Game of Thrones to Star Trek, Doctor Who to the Legend of Zelda and many, many more. Ever wanted to try the Klingon favorite live worm concoction, Gagh? Or maybe elven Lembas from Tolkien's Lord of the Rings? 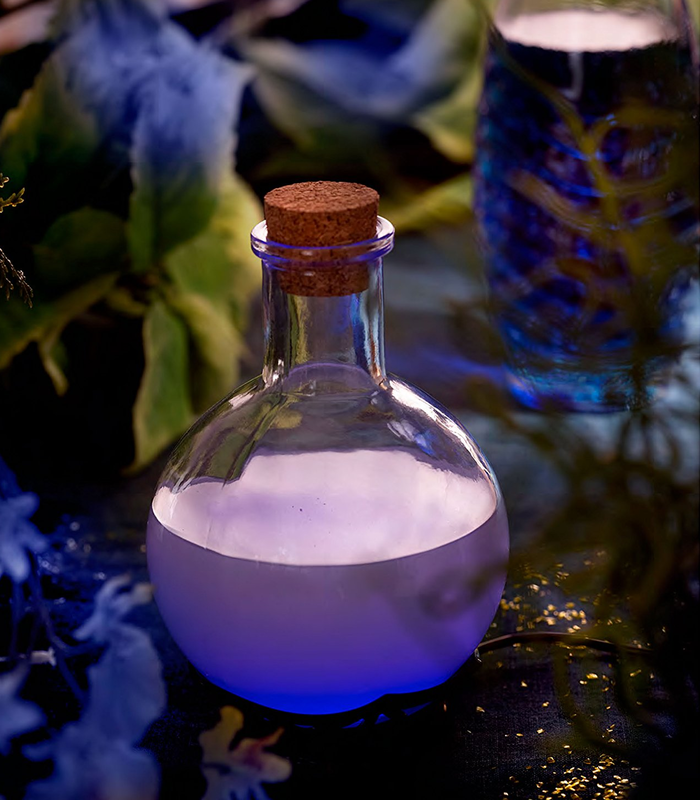 What about your favorite video game consumables, like the universal Red Potion? 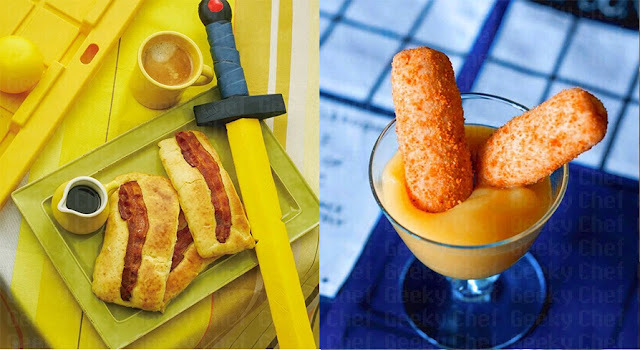 These culinary creations come straight from the page or screen and into your mouth! 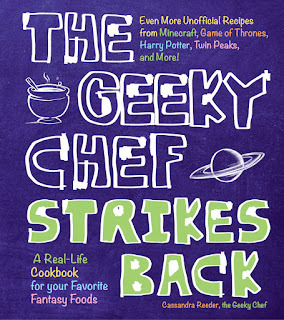 With tons of new recipes that don't appear on the blog, this book is a must-buy for all geeks, gamers and superfans. Available wherever books are sold! 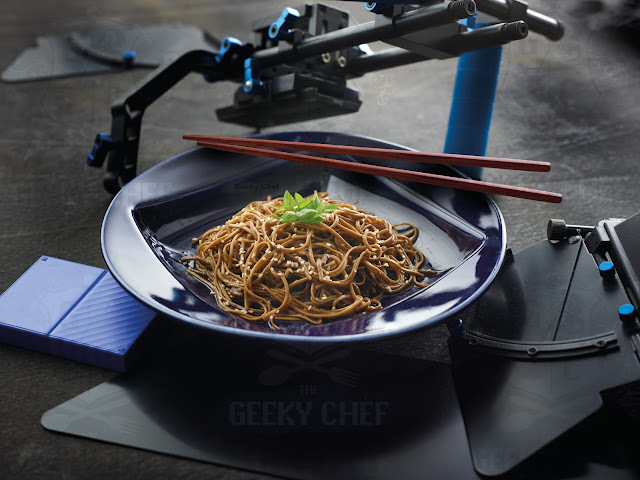 The The Geeky Chef Cookbook was released in 2015. Photographed, step-by-step instructions will show you how to make Pumpkin Pasties from Harry Potter, and Lemon Cakes from Game of Thrones. Sip from a bowl of Plomeek Soup from Star Trek and enjoy with Peeta's Cheesy Bread from The Hunger Games. With this book, fantasy foods became fantasy no more! As geeks, we all know sequels are almost never as good as the original, but The Geeky Chef Strikes Back is one of those rare magical exceptions. 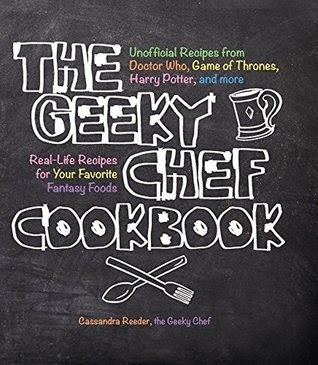 Printed in gorgeous hardcover with even more delicious, real-life recipes for your favorite fantasy foods. Discover the foods you've always wanted to taste from realms like The Lord of the Rings and Harry Potter to The Legend of Zelda, Firefly, Minecraft, Final Fantasy, and more. If you've found yourself craving Pumpkin Juice from Harry Potter, Lingonberry Pancakes from The Big Lebowski, Norma's Cherry Pie from Twin Peaks, Wife Soup from Firefly, or the White Dragon Noodles from Blade Runner, then look no further. These creative recipes are perfect for your next big viewing party or your standing reservation for a party of one. 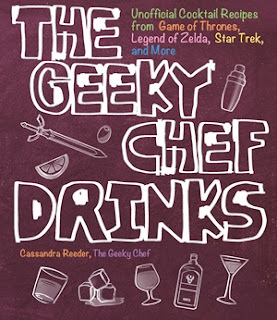 The The Geeky Chef Drinks was released in 2018. Photographed, step-by-step instructions will show you how to make a Tatooine Sunset from Star Wars and the infamous Pan Galactic Gargle Blaster from The Hitchhikers Guide to the Galaxy. Sip on some Romulan Ale from Star Trek or slam down the Noble Pursuit from The Legend of Zelda: Breath of the Wild. With The Geeky Chef Drinks, prepare to be transported to galaxies far, far away. Do they have pictures? I like pictures. There's more where that came from when you buy the books! What about words, are there words? Heck yeah, there are! A lot of words! About geek stuff! And food! Each and every recipe has it's very own intro written by yours truly. 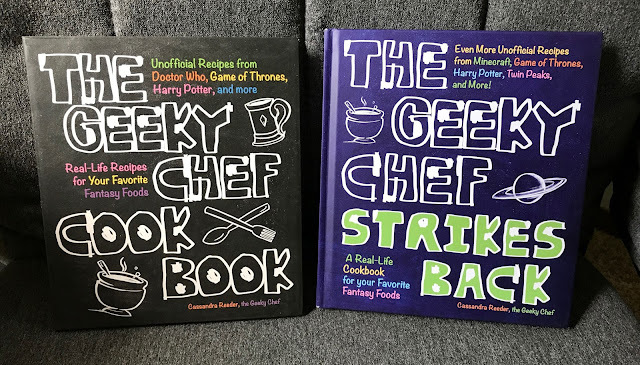 These intros provide information on the inspiration for the recipes, my personal thought process on creating the recipe, and the significance of each recipe in the world of geekiness. Sometimes, I even try (and probably fail) to be funny. I came here for the food. I like you. You and I are on the same page (pun intended). You won't be disappointed. I worked long and hard on each recipe to make sure they would live up to their inspiration. You'll find savory soups, crunchy munchies, gooey pies and fluffy cakes, all inspired by your favorite geeky entertainment. 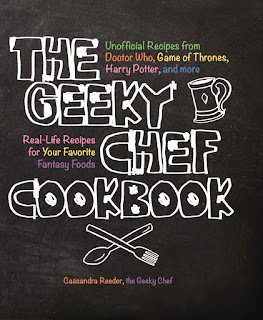 There's something for every geek's palate in these books! That's cool. Nothing wrong with being indecisive. Here's a sneak peak in the form of some YouTube videos.